January ratings are in and CNN had record audience deliveries and topped MSNBC in all key dayparts this month – total day, prime time, dayside and weekends — among adults 25-54. For the 55th straight month, CNN surpassed MSNBC (235k vs. 199k) in total day, the longest monthly streak since 2010. CNN registered its second-highest January on record in total viewers (824k) behind 2009, and third highest in 10 years in the demo adults 25-54 (just behind 2017, 2018). CNN also grew +15% in January in total day among total viewers, while MSNBC was +14% and Fox declined -11%. In prime time, CNN beat MSNBC this month (368k vs. 355k) and has now outperformed MSNBC in prime time for three of the past four months. CNN posted its second-highest January prime time ever in total viewers (1.231 million), after 2009 and second highest in last 10 years among adults 25-54 (after 2017). CNN’s prime time grew vs. last year, up +32% in total viewers and +11% in the key demo adults 25-54. In weekday prime time (M-F), CNN posted its highest January weekday prime time ever in total viewers (1.415 million) and had the most growth in cable news, increasing an impressive +31%, MSNBC was up only +4% and Fox was down -11%. Among adults 25-54, CNN was up +13% while MSNBC was down -16% and Fox declined -20%. All of CNN’s weekday prime time programs posted their highest January ratings on record. During dayside, CNN dominated MSNBC for a record-breaking 59 straight months in the coveted demographic adults 25-54 (230k vs. 180k). All of CNN’s daytime programs (9am-4pm) posted higher 25-54 audiences than MSNBC. This was CNN’s second-highest January in total viewers (913k), just after 2009, and third highest since 2009 in the demo (behind 2017, 2018). CNN was up during dayside +11% in total viewers (913k) vs. last year. On weekends, CNN also outperformed MSNBC total day among total viewers (691k vs. 663k) and ranked #1 in cable news among adults 25-54. And in weekend prime time, CNN topped MSNBC among both total viewers (771k vs. 668k) and in the key demo 25-54 (200k vs. 110k). CNN delivered higher demo 25-54 audiences than MSNBC for all 24 hours on both Saturdays and Sundays. Erin Burnett Outfront (7pm) was #1 in January in the key demo 25-54 now for the second straight month and ahead of MSNBC for eight consecutive months. CNN averaged 368k, Fox’s The Story followed with 341k and MSNBC’s Hardball had 299k among adults 25-54. This is EBOF’s best January on record in total viewers (1.164m) and second highest in the key demo (just behind 2018). The Burnett-led program also grew the most in total viewers (1.004m) at 7pm, increasing +16% vs. last year, while Fox was down -18% and MSNBC was +6%. The Lead with Jake Tapper (4pm) was #1 in cable news this month in the key demo 25-54 averaging 285k, MSNBC’s Deadline White House followed with 259k and Fox’s Your World was third with 244k. The Lead has ranked #1 for the third consecutive month and ahead of MSNBC for the seventh straight month. This is The Lead’s best January on record among both total viewers (1.167m) and adults 25-54 (285k). The Tapper-led program was up +22% in total viewers and +9% among adults 25-54 vs. last year. Newsroom with Brooke Baldwin (2pm and 3pm) was easily the top-rated cable news program at 2pm (261k), Fox followed with 245k and MSNBC had 180k. This is the first time that CNN ranked #1 at 2pm since June 2017. At 3pm, Baldwin also ranked #1 now for the second consecutive month among adults 25-54, averaging 253k, Fox’s Shep Smith Reporting was second with 211k and MSNBC Live was third with 194k. The 3pm show has now ranked #1 for three of the past five months. The Baldwin-led program grew both hours vs. last year – increasing +16% at 2pm and +12% at 3pm in total viewers. Early Start with Christine Romans and Dave Briggs (4-6am) ranked #1 in cable news in the early mornings with 132k, Fox and Friends First followed with 120k and MSNBC averaged 109k. The CNN program was the only news show to grow in cable news during the time period, increasing +2%, while Fox declined -23% and MSNBC was down -9% in the key demo. Early Start was also up +18% in total viewers, while Fox was down -14%. Other CNN programs ranked #1 in cable news in January including: New Day (Sat/Sun), CNN Newsroom with Fredricka Whitfield (Sat/Sun), CNN Newsroom with Ana Cabrera (Sat/Sun) S.E. Cupp Unfiltered, The Van Jones Show and The Axe Files with David Axelrod in adults 25-54. On Sundays, State of the Union with Jake Tapper (noon) was also #1 in cable news now for eight of the past 12 months and Fareed Zakaria: GPS (1pm) was top rated in the key demo adults 25-54. Anderson Cooper 360 (8pm) drew more viewers than MSNBC’s All in with Chris Hayes in the key demo adults 25-54 (420k vs. 376k) now for the seventh straight month. This is AC 360’s best January ever among both total viewers (1.436 million) and adults 25-54 (420k). The Cooper-led program is also up +23% in total viewers vs. last year, increasing the most in cable news at 8pm (Tucker is down -7% and MSNBC is +7%). In the key demo 25-54, Cooper is up +4%, while Fox is down -16% and Hayes is down -14% compared to last year. Cuomo Prime Time (9pm) was CNN’s #1 news program again in January in both total viewers (1.641 million) and adults 25-54 (492k), now for the eighth consecutive month among total viewers. The Cuomo-led program has narrowed the gap significantly with Fox’s Hannity to just -8% in 25-54 (492k vs. Fox’s 537k). Aside from last month when CPT topped Hannity/Hannity Specials for the first time ever, the monthly gap has never been this narrow since Hannity started hosting the 9pm hour. The program is also setting record growth – increasing an impressive +49% in total viewers, while Maddow is +3% and Hannity is down -4% vs. last year. In the demo, Cuomo Prime Time is up +26% while MSNBC is down -16% and Fox is off -14%. Cuomo delivered the network’s overall highest 9pm January ratings ever in 25-54 and second highest among total viewers (behind 1999). CNN Tonight with Don Lemon (10pm) – for the second consecutive month, CNN Tonight beat Fox’s third place The Ingraham Angle/Ingraham Specials in adults 25-54 (426k vs. Fox’s 415k) and was just 1k off of MSNBC’s The Last Word (426k vs. 427k) among 25-54. The last time Fox ranked #3 at 10pm (prior to last month) in the demo was August 2001. This is the Lemon-led program’s highest January on record in both total viewers (1.333 million) and adults 25-54 (426k). Compared to last year, CNN Tonight is up the most in the time period, increasing +25% in total viewers, MSNBC was +5% and Fox was down -14%. In the demo, CNN increased as well, +8%, while MSNBC and Fox had double digit losses, both down -19%. The 11pm hour of CNN Tonight also beat Fox News at Night (326k vs. 281k) among adults 25-54. CNN Tonight with Don Lemon at 11pm was also up +13% in total viewers and +3% in the demo vs. last year. The Situation Room with Wolf Blitzer outperformed MSNBC at both 5pm (305k vs. 248k) and at 6pm (320k vs. 272k) for the eighth straight month among adults 25-54. This is the Blitzer-led program’s second-highest January among total viewers at 5pm (1.190 million) and at 6pm (1.076 million) and among adults 25-54 305k/320k since 2009. At 5pm, the program is up +25% in total viewers and is the only show that is up in the demo in adults 25-54, increasing +7%, Fox’s The Five is down -14% and MSNBC is -4%. vs. last year. And at 6pm, The Sit Room is up +20% in total viewers and +4% in the demo (Fox is down -20% and MSNBC is off -6%) among adults 25-54 . New Day with Alisyn Camerota and John Berman (6-9am) had its best January ever on record among total viewers (618k) and second best January among adults 25-54 (190k; behind only 2018). This is also the overall network’s highest 6-9am time period ratings ever among total viewers and third best since 2003 among 25-54 (behind 2018, 2009). Other CNN programs including, CNN Newsroom with Poppy Harlow and Jim Sciutto, At This Hour with Kate Bolduan, Inside Politics with John King (weekday), CNN Right Now with Brianna Keilar and Smerconish all easily surpassed MSNBC this month, posting higher demo 25-54 audiences. On Sunday mornings, Inside Politics with John King (8am), State of the Union with Jake Tapper (9am), Fareed Zakaria GPS (10am) and Reliable Sources with Brian Stelter (11am,) all posted more viewers in the key demo 25-54 than MSNBC, ranking #2 in cable news. CNN’s newest Original Series American Style ranked #1 in cable news in the key demo adults 25-54 and #2 in total viewers during its four-episode run. The series averaged 212k among adults 25-54 and 710k in total viewers across its premiere episodes (Sunday 9p and 10p; 1/13/19-1/20/19). American Style outperformed MSNBC in the time period by triple digits among 25-54 (+133%; 91k), and Fox by double digits (+21%; 175k). Versus the prior four Sun 9-11pm time period average, posted the largest growth in cable news among total viewers and 18-34, and the second largest growth among adults 25-54. Every episode ranked #1 among adults 25-54 across cable news in its respective hour. CNN Films: Love, Gilda debuted at #1 in cable news in both total viewers and among adults 25-54 (January 1, 9-10:45pm). In total viewers, Love, Gilda averaged 1.271 million total viewers, +24% more than Fox’s 1.027 million and a +136% lead over MSNBC’s 539k. In the key demographic adults 25-54, the film attracted 299k, +82% more than MSNBC’s 164k and +108% more than Fox’s 144k. CNN Films: Three Identical Strangers debuted as CNN’s most-watched CNN Film premiere to date among both adults 25-54 and total viewers (January 27, 9p-11p). The film attracted 1.981 million total viewers, +318% above MSNBC’s 474k and +42% ahead of Fox’s 1.393 million. Among adults 25-54, the film averaged 497k, and outperformed Fox’s 237k by +110% and MSNBC’s 96k by +418% in the time period. Among ALL cable networks, CNN ranked #5 in total viewers in total day in January. This marks the 13th straight month that CNN is a Top 10 cable network among total viewers in total day. In M-F prime time, CNN ranked #5 in total viewers, making this the seventh straight month that CNN ranks as a Top 10 cable network. CNN continues to reach the largest cumulative TV audience (among both total viewers & adults 25-54) of any cable news network, making 2019TD the 18th consecutive year on record that CNN is #1 in cable news. **NOTE: due to data limitations, X Media data is on a delayed delivery and therefore the above represents 2018TD data (Jan-Oct). CNN reaches more people than any other cable news brand across TV and digital. CNN reaches more people in ages 18-34 and 25-54 than any other news brand across TV and digital. 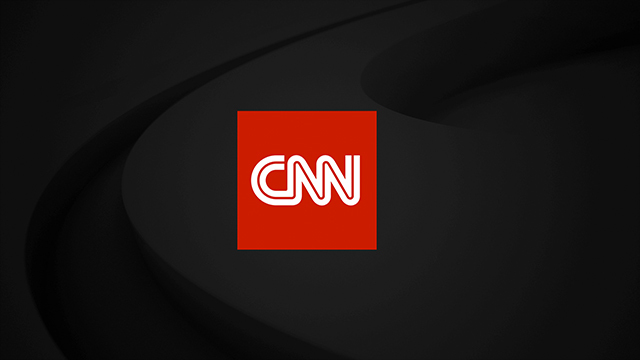 CNN Digital viewing added a 2.2% lift to CNN’s TV audience in Jan-19 among total viewers.